The Hog Master’s engineers have been working at electric speed getting new Hog Master Hog roasting machine ready and out the factory for any customer who wants one straight away. We offer the amazing chance for people to take a tour of our outstanding factory and see the grand Hog Master become a supreme hog roasting machine. It is really great for those customers who love watching things get made, there is a program on how thing get made and it is very interesting, so seeing it up close is a grand opportunity, plus potentially seeing the hog roasting machine you are going to buy be created in front of your very eyes. We feel by showing you this you can get close with your new hog roast machine, see how it all fits together and what bit does what. For the time where something is wrong with the hog roast machine or you simple want to change something you will know what bit it is and where it goes. This is really good for catering business if they over use something or want to buy a better part they will know what to do. 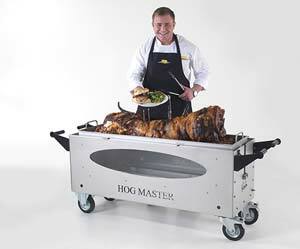 Thousands of catering business, restaurants, pubs, mobile catering business, and fast food shops have acquired one of our esteemed hog roasting machine; The Hog Master due to its roasting capabilities. Turning business around due to one simple change in the menu, by adding a simple hog roast. Millions of people out there are still yet to try a hog roast, so providing it in a local shop people are bound to try something new and something that sounds so delicious. We have recently sold two of our hog roasting machines to a catering business in Aberdeen they wanted a BBQ Kit and a Spit Roasted Kit, so to see how our Hog Master where doing me and a colleague decided to travel up there ourselves. We eventually got there to a very please business owner he greeted us with open arms and lead us to where the hog roast machines where and places the roasting accessories down by the side. He said “Those Hog roasting machines are amazing, we have now based our whole menu around them, nearly hog roasting everything on the menu apart from desserts and drinks” He recommended us to a local shop who could profit from having some Hog Master, so we now wait his call. 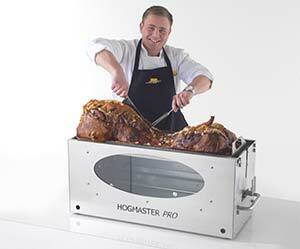 Why Not Hire a Hogmaster From Hog Roast Redruth?